with an opening-round knockout Friday on "ShoBox: The New Generation." In the junior lightweight co-feature from the Chumash Casino Resort in Santa Ynez, Calif., Agnaldo Nunes and Isidro Granados fought to an action-packed, eight-round majority draw. 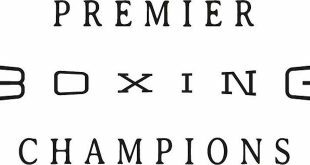 On an evening when "ShoBox" made its Friday debut, SHOWTIME televised the Gary Shaw Productions doubleheader at 11 p.m. ET/PT (delayed on the West Coast). The telecast represented the 52nd in the popular "ShoBox" series, which debuted on SHOWTIME in July 2001. 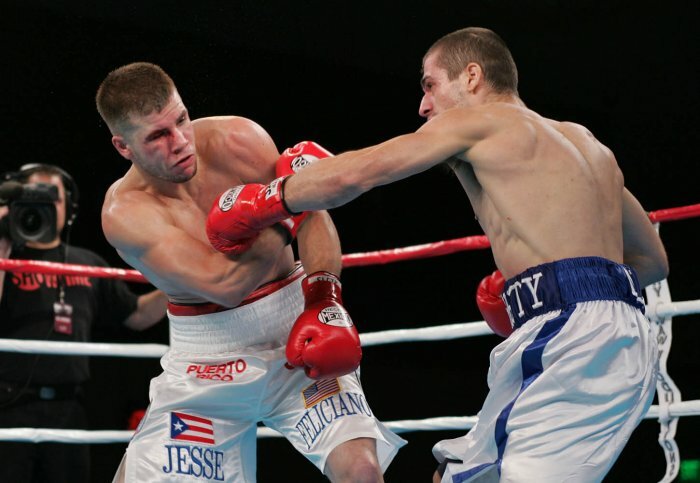 Arnaoutis (11-0-1, 5 KOs), of Athens, Greece, sent Feliciano to the canvas for the first time midway through the first round by landing a punishing uppercut to the chin. Less than one minute later, Feliciano hit the turf once again after absorbing brutal body shots to the midsection. After Feliciano stumbled while regaining his feet, Arnaoutis ended matters when a crushing left to the head sent the beaten fighter down for a third time. Referee Dr. James Jen Kin stopped the carnage at 2:49 of the opening stanza. 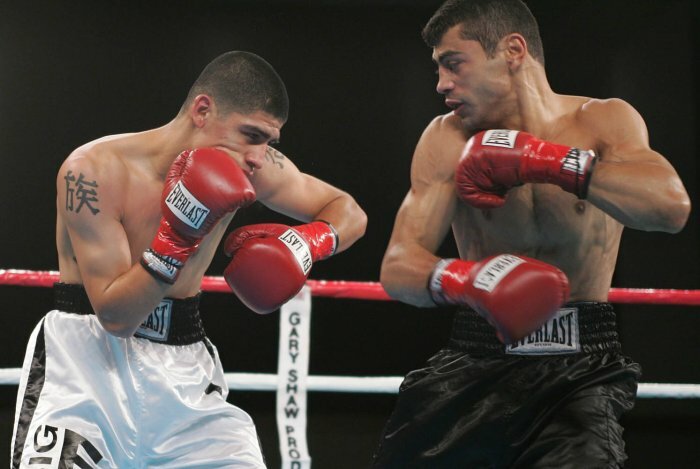 In his "ShoBox" and SHOWTIME debuts, Arnaoutis fought to an electrifying 12-round majority draw against Juan Urango for the vacant NABO junior welterweight crown on Aug. 5, 2004, from Hollywood, Fla. The judges scored the slugfest 115-113 for Urango and 114-114 (twice). Arnaoutis, 25, went 103-7 with 68 knockouts in the amateurs and won numerous Greek titles. He turned pro at age 21 on April 30, 2001, with a four-round decision over Sergiy Dolmatov. Feliciano (12-3-2, 7 KOs) of Los Angeles, suffered his second consecutive defeat despite showing the heart of a champion. 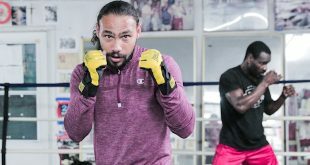 The pride of Los Angeles made his professional debut at age 19 on Dec. 1, 2001, with a four-round decision over Juan Montes de Oca in Las Vegas. Since entering the pro ranks, seven out of Feliciano’s 12 wins have come by way of knock out. Photo by:Tom Casino/Showtime Nunes (9-1-1, 5 KOs), of Sao Paulo, Brazil, overcame two knockdowns, but managed to escape with a majority draw by stalking Granados from the outset. One judge scored it 76-74 for Nunes, while the other two saw it 75 apiece. The decision was met with a chorus of boos from the disappointed crowd. The southpaw Brazilian, who still spars with former world champion Acelino Freitas, represented his country at the 1996 and 2000 Olympics. On June 21, 2002, Nunes turned pro at age 26 and scored a four-round decision over Jose Da Silva in San Andre, Brazil. Granados (12-1-1, 8 KOs), of Bellflower, Calif., counterpunched effectively while knocking Nunes down twice. Two minutes into the third round, Granados scored his first knockdown when he landed a left-right combination to his opponent’s chin. Three rounds later in the sixth, Granados floored Nunes again with a well placed left cross to the chin. The California native made his professional debut at age 18 and tallied a four-round decision over Oliver Bolanos on Sept. 13, 2002. Since suffering his lone setback in May 2003, Granados has gone 6-0-1 in his past seven contests, including four by way of knockout. 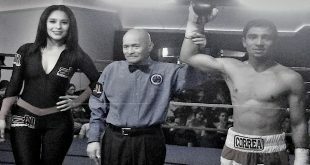 The once-beaten 20-year-old has fought in six different California cities. "ShoBox: The New Generation" features up-and-coming prospects determined to make a mark and eventually fight for a chance at a world title. 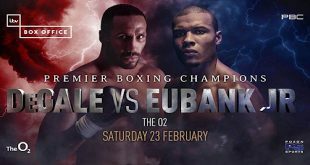 The best of the new generation of hungry, young boxers will have an opportunity to showcase their talent and heart as they battle each other in competitive fights in front of a national television audience. "ShoBox: The New Generation" is pure, basic boxing, reminiscent of the golden days of the sport.